On 29 July the High Court handed down its judgment in the high-profile Energy Solutions (ES) v Nuclear Decommissioning Authority (NDA) case. The case concerned the competition to become the “Parent Body Organisation” (PBO) for 12 sites operating “Magnox” nuclear power stations, together with two other sites. The PBO would become the regulated site licence company responsible for the decontamination and decommissioning of the various sites. 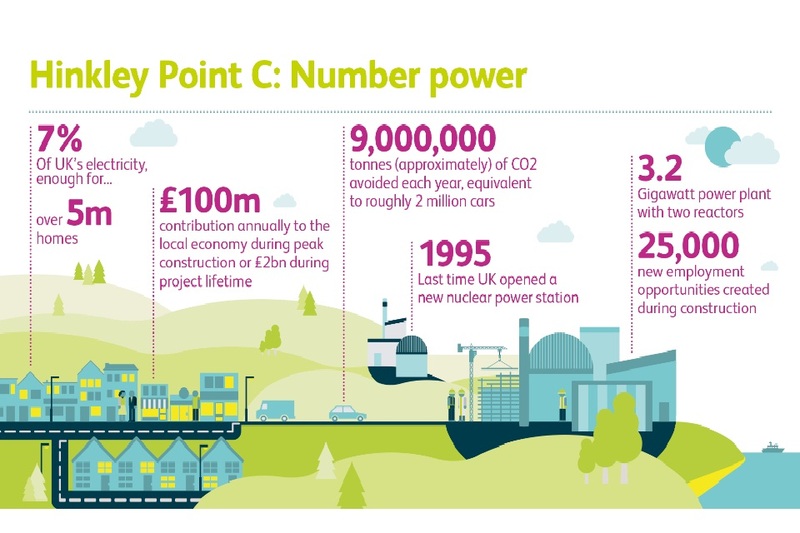 As one would expect, the procurement process involved the evaluation of highly technical submissions and involved very substantial amounts of public money: the total budget for decommissioning work during the initial even years of the contract was £4.211 billion. ES bid with Bechtel in a consortium named Reactor Site Solutions (RSS) and was unsuccessful. The contract was awarded to Cavendish Fluor Partnership (CFP) following a bid evaluation which showed a narrow winning margin of 1.06 percentage points in favour of the CFP bid. ES challenged the outcome of the evaluation, seeking damages from the NDA (Bechtel did not challenge the award process). ES spent approximately £10 million preparing the tender for the competition and expected to receive approximately £100 million in fees for its role in managing the delivery of the decommissioning work. Although damages are not addressed in the judgment, these figures give a rough idea of the potential value of ES’s claim. The judgment runs to over 300 pages. In this blog post we can only draw attention to a small number of the interesting points that the case raises. If properly evaluated, should the RSS bid have received a different or higher mark than that awarded by the NDA evaluation? Should CFP have been excluded from the procurement on the grounds of being non-compliant? If not, and if properly evaluated, should the CFP bid have received a different or lower mark than that awarded by the NDA evaluation? What was the impact of information that witnesses providing evidence in support of ES’s claim were offered “win bonuses” to be paid if the claim was successful? In considering the first issue, the judge set out some very useful guidance on the standard expected of authorities carrying out evaluations, fleshing out the idea that the courts will intervene where there has been a “manifest error” in the assessment of the bid. The judgment also gives useful clarification on the role of the debrief documentation in the context of providing reasons. The judgment sets out that the reasons provided in the debrief documentation will be the actual basis for assessment as to whether there has been a manifest error. The defendant authority will not be able to argue that, for different reasons other than those given as part of the debrief (which may come to light later), the scores were in fact correct. The test of manifest error will be applied to those reasons given in the debrief documentation. However, the information which may come to light later may be used by the defendant authority to make arguments relating to “causation” – that is to say, such information may very well be relevant to what the score should have been. For example if a manifest error is revealed in the debrief documentation, this would amount to a breach of the procurement rules. However, the defendant authority may well be able to argue that, had the evaluation been carried out properly taking account of factors which weren’t revealed in the debrief document, the score would not be changed and the claimant would not have suffered a loss. The court also looked at the elements of manifest error. In determining whether there was an error the judge ruled that regard should be had to three factors: (1) the criteria for the award of the score; (2) the reasons; and (3) the score itself. To avoid being in error, all of the elements need to “agree”. It is not sufficient that the score determined at the end of the process is correct: there could still be manifest error if the reasoning does not support the final score awarded. It would then be a question of causation as to whether the breach actually impacted on the outcome of the competition. The court went on to apply these tests in relation to a large number of ES’s disputed scored responses, and found that there had been manifest errors in the scoring. In the absence of these errors, ES would have been awarded a higher score. The court then conducted a similar exercise in relation to the CFP bid, and found that it had been scored too generously. Much of the detail in relation to this aspect of the judgment is set out in a confidential annex, as it concerns commercially sensitive information. One interesting aspect of the judgment is the hard line the judge takes in relation to the application of the so-called “threshold issues”. These concerned the scoring of a number of questions which required a bidder to receive a score above a certain level for specific requirements in order to be deemed to have “passed”. Bids which failed to meet the threshold were required under to be excluded under the tender rules. The judge considered in what circumstances it may be permissible for an authority to waive a requirement to disqualify a tender which did not reach a threshold. The conclusion reached offers little scope for flexibility. He found that the doctrine of “proportionality” would only rarely be of assistance, and (unsurprisingly) did not allow an authority to alter scores in a way which avoided the threshold being breached. In circumstances where the requirement to act transparently (following the terms set out in the tender documentation) and the requirement to act in a proportional manner come into conflict, transparency has primacy. The judgment also considers other factors which may be taken into account when determining whether the proper course of action is to exclude a bidder. The clear guidance provided by the judgment in this area will be useful to awarding authorities, even if the relatively strict approach underlying it may not always be entirely welcomed by them. ES made a shock revelation just before the judgment was due to be heard. It had come to light that a number of their witnesses were to be given a bonus in the event that the claim was successful. In one case the bonus was £100,000 plus 0.5% of any damages awarded. So how did the judge address this revelation at such a late stage in proceedings? The answer is “pragmatically”. Although the defence sought an order that the case be dismissed entirely or reheard, he refused those requests. Instead he assessed the degree of dishonesty involved in the agreements (deciding that there was none) and determined that it would be wholly disproportionate to grant either of the remedies requested. For good measure, he also stated that even if the evidence was to be disregarded entirely (which he did not think was necessary) the same outcome would have been reached on the basis of the documentary evidence and the evidence provided by the NDA witnesses. This is a highly significant judgment for those involved in public procurement and will be a timely reminder to awarding authorities about the need for providing well-founded reasons for scores in debrief documents. The astounding detail in the judgment and quality of the reasoning means that the half-life of the precedents set by the judgment may be long (if it survives any possible appeal). However, given the significance of the damages claimed, and the contentiousness of some of the issues, it is quite possible that the NDA will not let matters rest where they are. Some indication of their fighting spirit is given by the fact that litigation on a preliminary issue (concerning to the lawfulness of seeking damages but not the prevention of the award of the contract) was, at the point at which the judgment was published, due to be heard in the Supreme Court.